Mother’s Day is quickly approaching- mark your calendars for Sunday, May 7th! 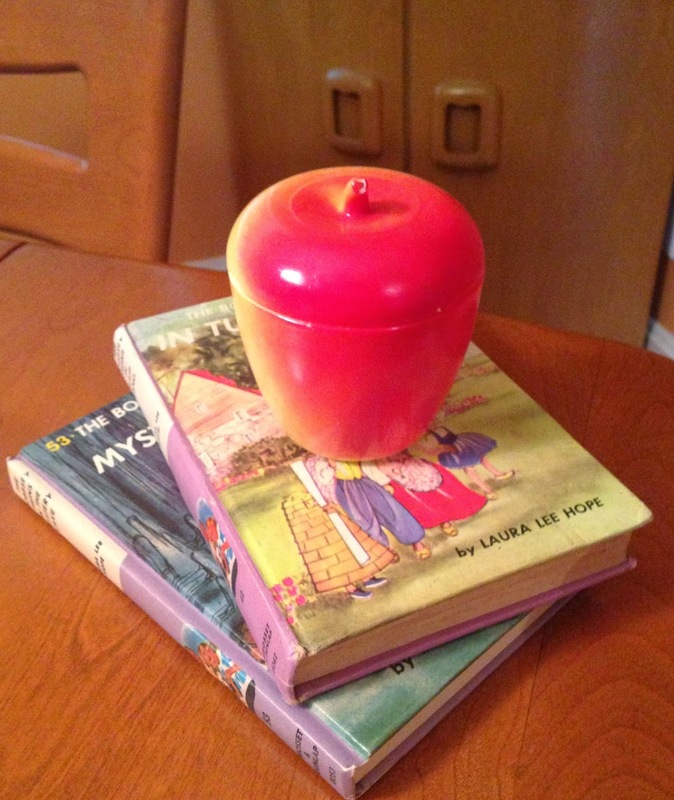 Why not get a little creative and clever this year? 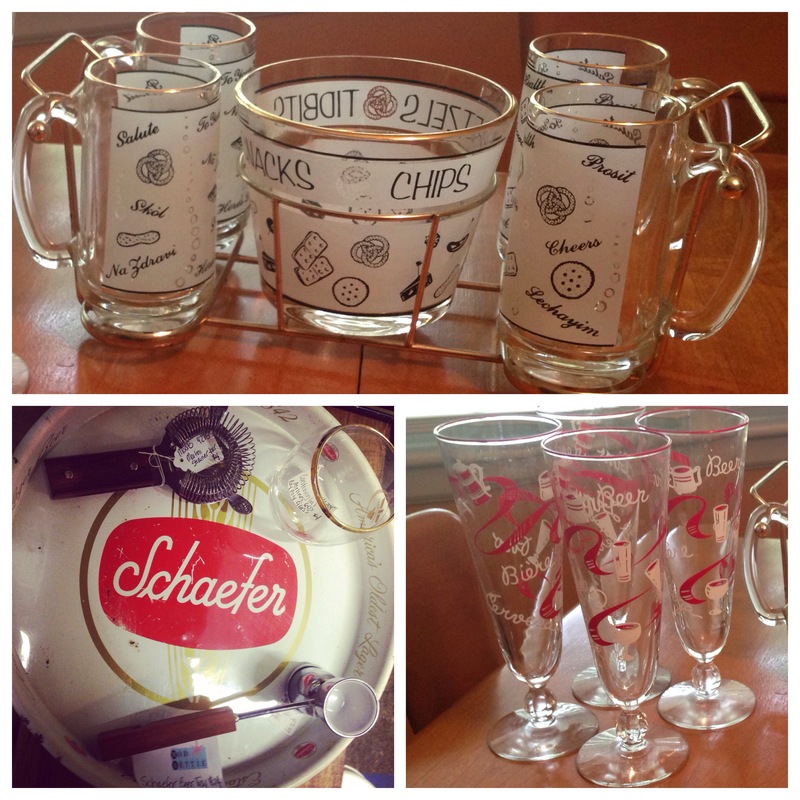 Giving vintage is a great way to give a unique gift that shows you put real thought into the person and the item! What does your Mom like to do or how does she like to spend her time? Think about that and start shopping early- looking for something specific is always a bit more challenging when you are shopping vintage. 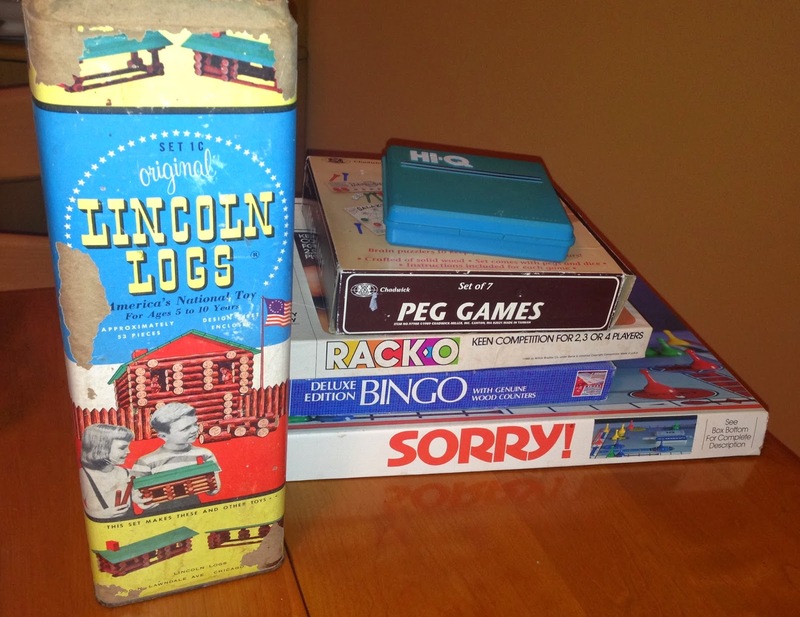 Here are some great vintage gifting ideas to get you started. 1. Does your Mom like to entertain? 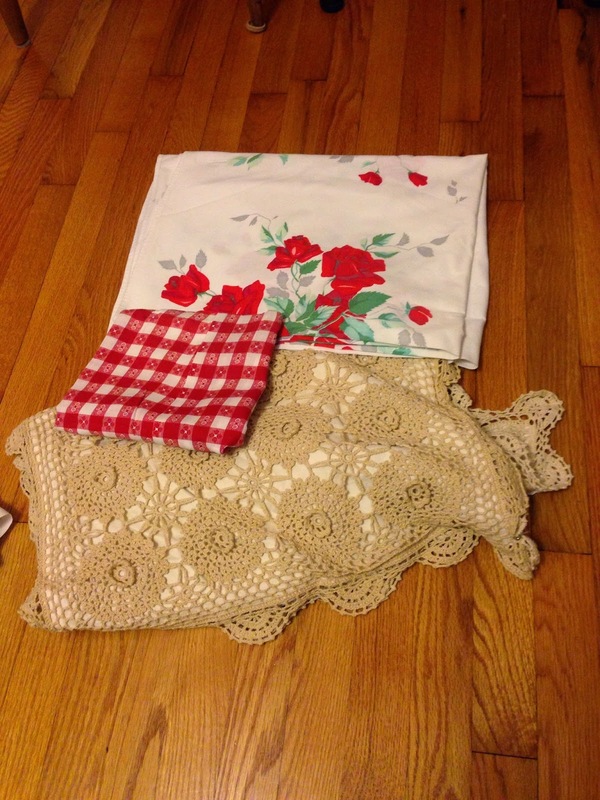 ModB Gift Idea: Vintage Linens: tablecloths, placemats, and napkins. 2. Does your Mom enjoy fashion? 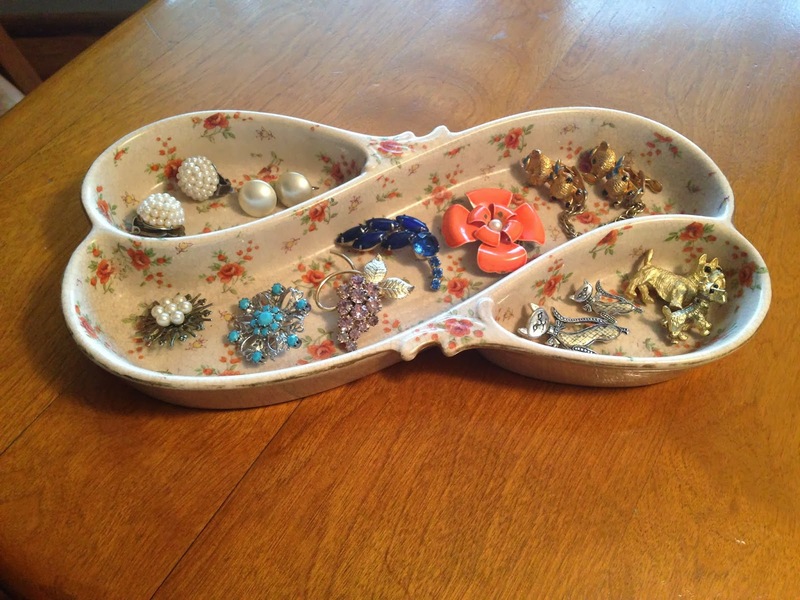 ModB Gift Idea : Vintage Jewelry and purses have been making a huge comeback for some time now and can often be found at the ReStores as well as this fab midcentury dish- perfect for storing and display of vintage pins and earrings. 3. 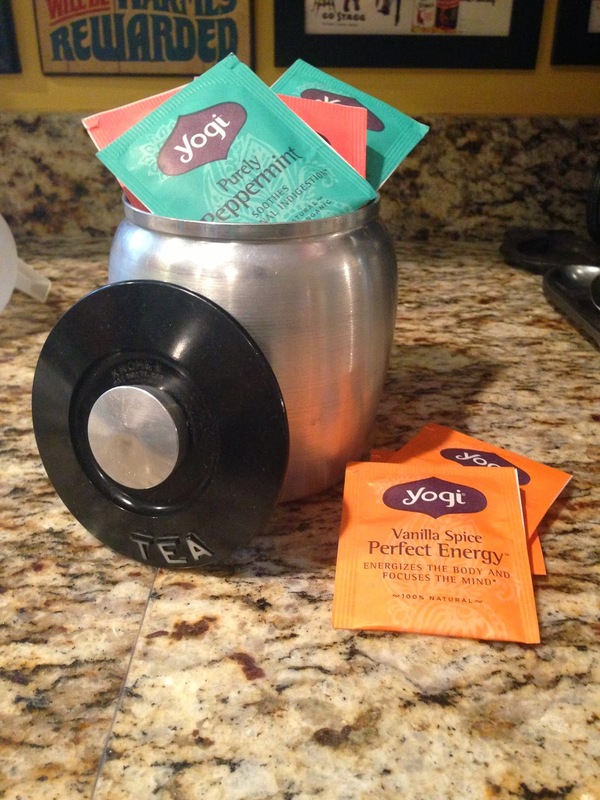 Was your Mom’s sweet tea or lemonade the VERY BEST you can remember? 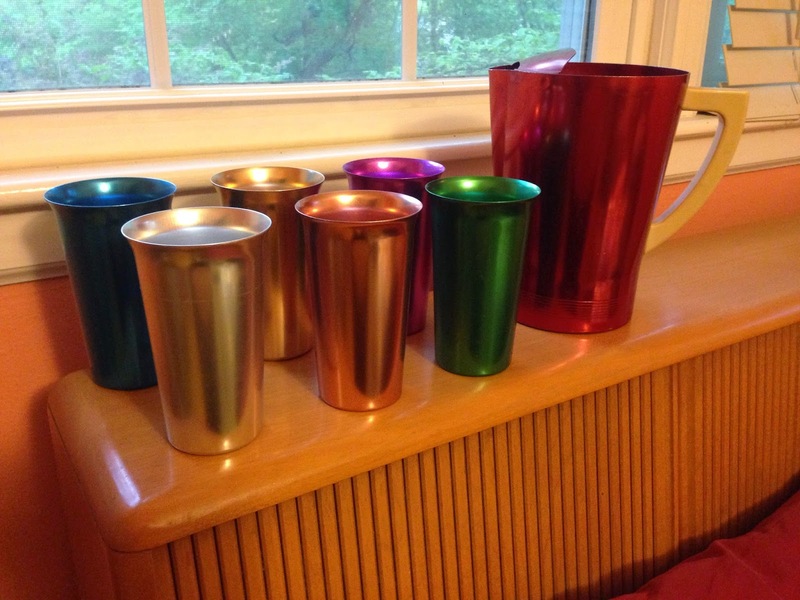 ModB Gift Idea: Spring Pitchers and glasses with a note that hers was always the best…. 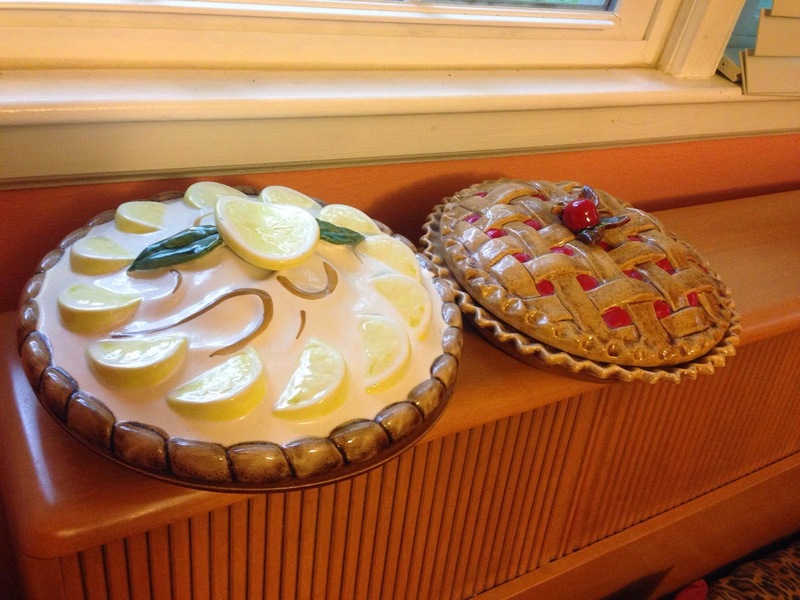 4.Does your Mom pride herself on baking? 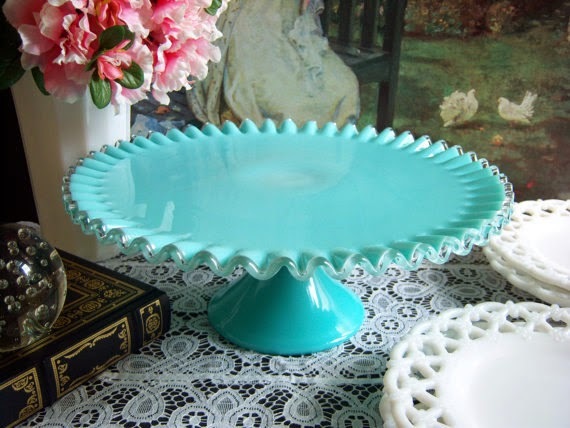 Mod B Gift Idea: Vintage cake stand or pie plate to display her perfect dessert! 5.Does your Mom love to travel or have a favorite vacation spot? Hopefully this is enough to get your creative juices flowing…what are some of your creative ideas for vintage Mother’s Day Gifts? It’s time to start thinking about vintage gift giving and as usual, you have a long list, right? Let me pass along my top quick and easy and memorable vintage gifting ideas so you can check some of those names off your list- pronto! 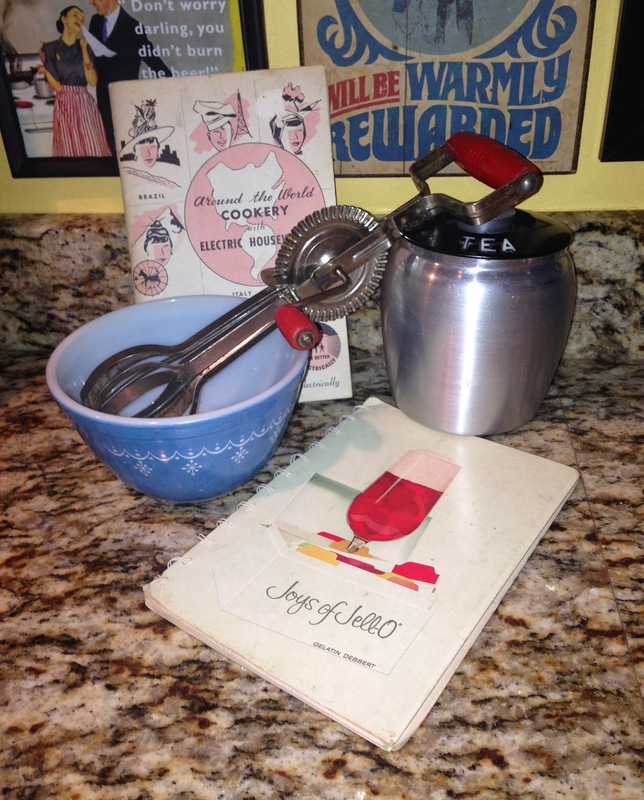 Everyone loves to receive your baked goods around the holidays…why not gift them in or on a reusable vintage tin or tray? It makes a beautiful and more memorable presentation than tissue or bags and can be used continually throughout the holidays! 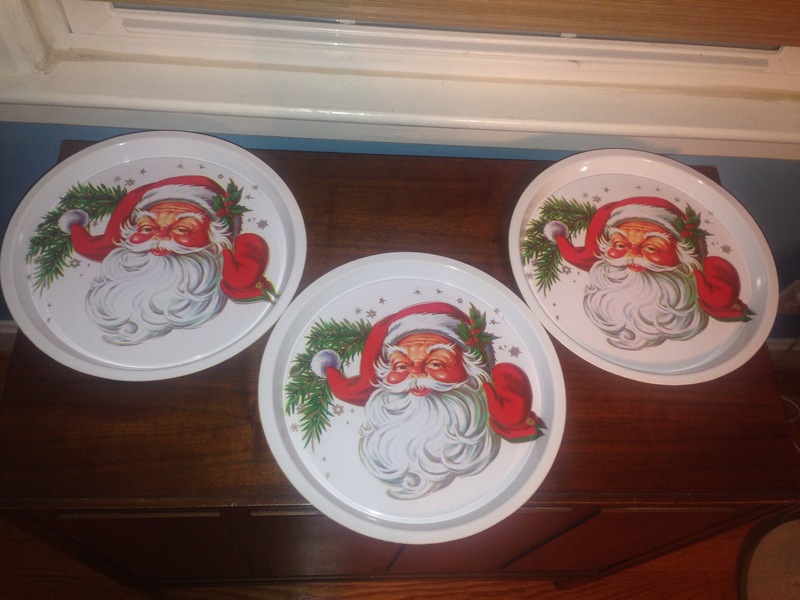 Vintage trays with a nostalgic image are perfect to deliver holiday treats! Of course I love these for their traditional use on the tree but they make such a heartwarming presentation when attached to gifts, used at table place settings/ or centerpieces, around the buffet table or even given as party favors throughout the holidays. 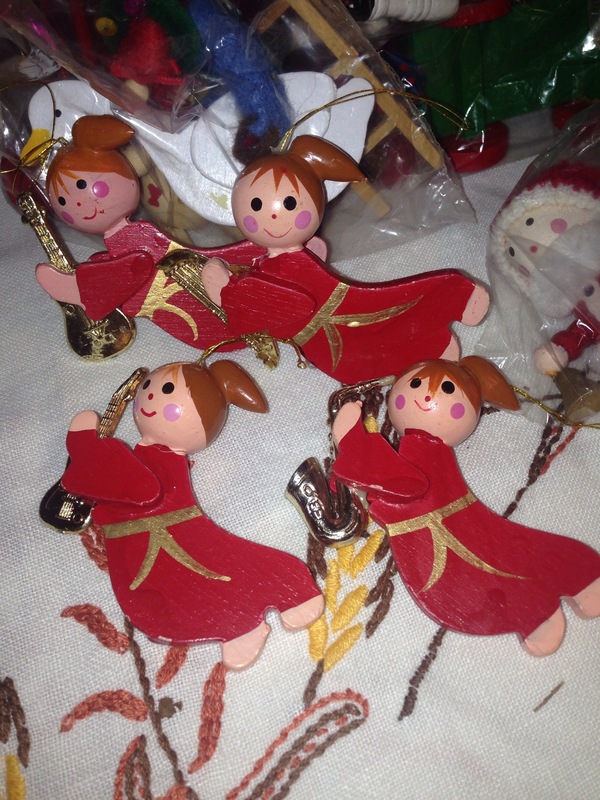 Ornaments can be used to decorate gifts and add a vintage touch. 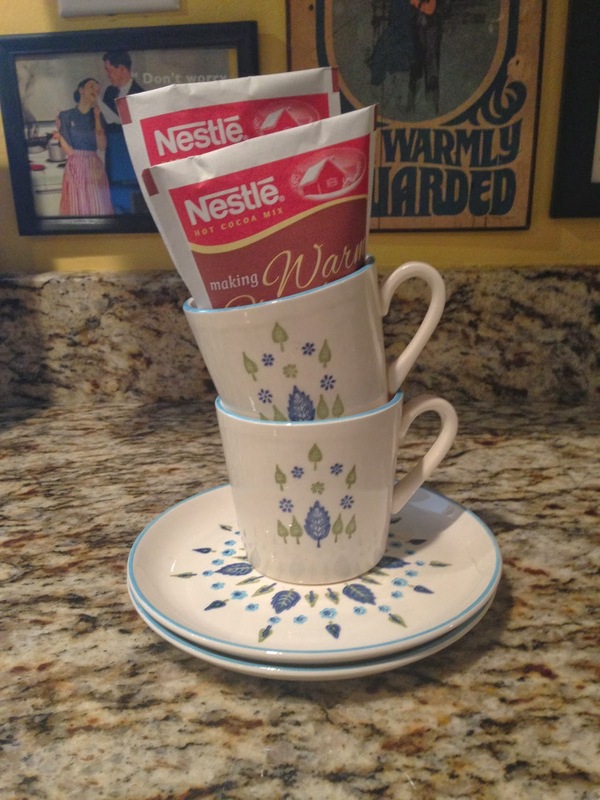 These make an adorable presentation when gifted with tea, hot cocoa, candy or vintage linens. 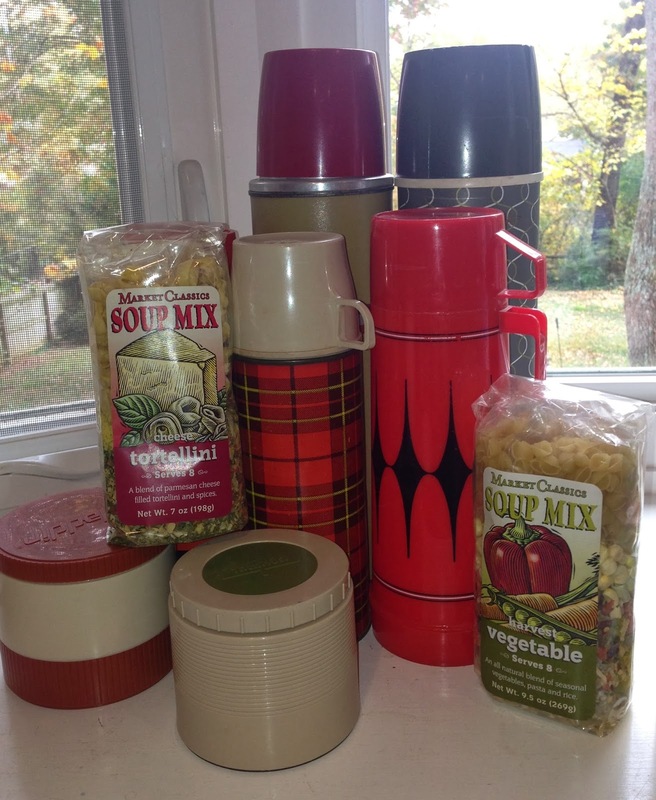 Vintage soup mugs can be gifted with gourmet crackers or bags of soup mix. 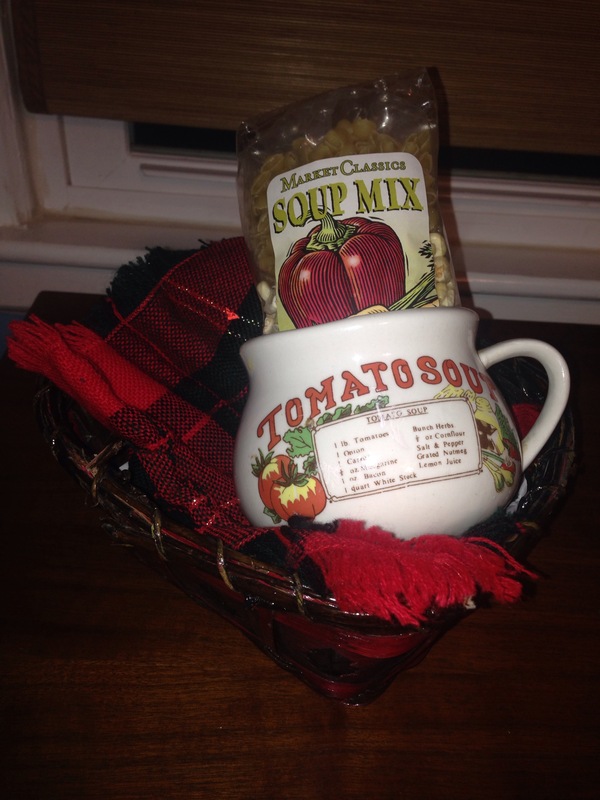 Dried soup with a vintage mug and vintage napkins makes a great gift! Want to bring the best hostess gift at your next party? Vintage Champagne coupes with a bottle of bubbly will do the trick, every time…trust me! See also: vintage pilsners or mugs with a local craft beer, or some swanky lowballs with a favorite liquor- both an equally fab option. Adding a bottly of bubbly to vintage chamapgne coupes makes you the most welcome guest! 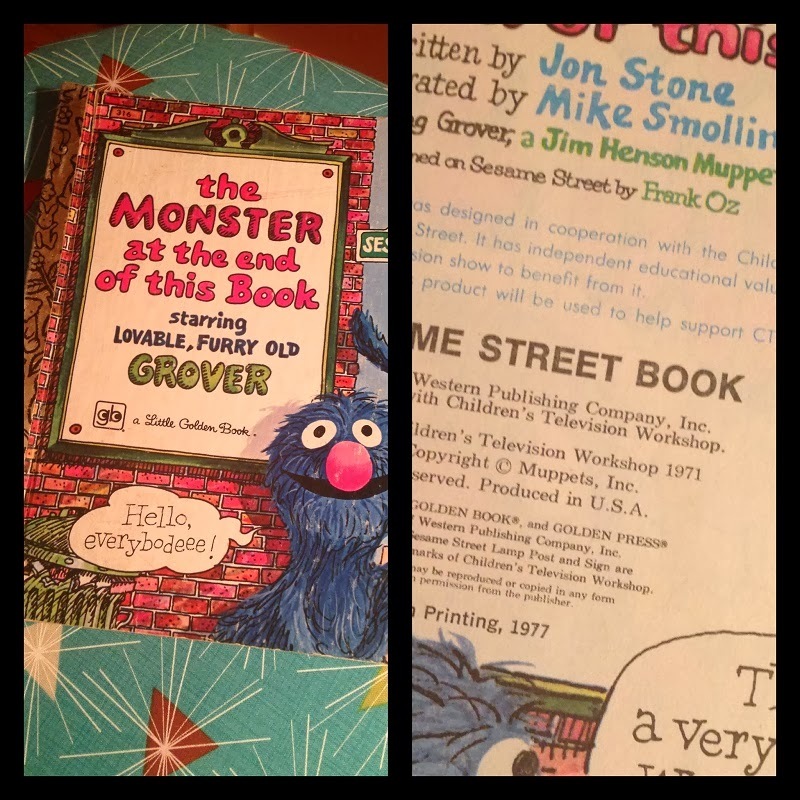 So give the gift of fond nostalgia and give vintage for the holidays! Check out the Vintage and Craft Pop-Up Holiday Shop on November 15 from 11-6 at The Fillmore at the NC Music Factory for these and other great vintage gifting ideas from Mod Bettie and over 50 vintage and craft vendors; stop by and say hi at the Mod Bettie Booth! 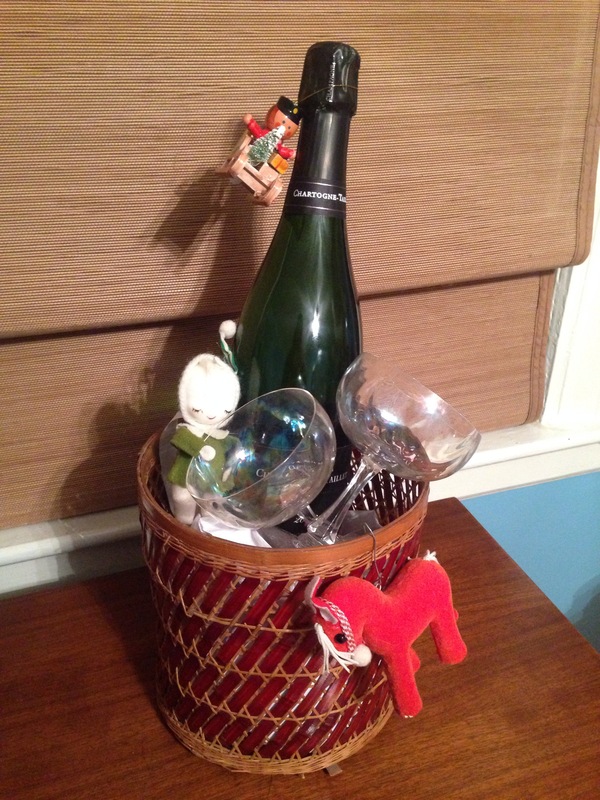 Swanky Vintage Gift Giving-Part 2: Getting Creative and Giving Vintage! In part one of our vintage gifting series we told you the 3 secrets to making vintage gift giving more personal. But during the holidays we are often required to give gifts to people that we don’t know as well– this can sometimes make gift shopping stressful for many people. 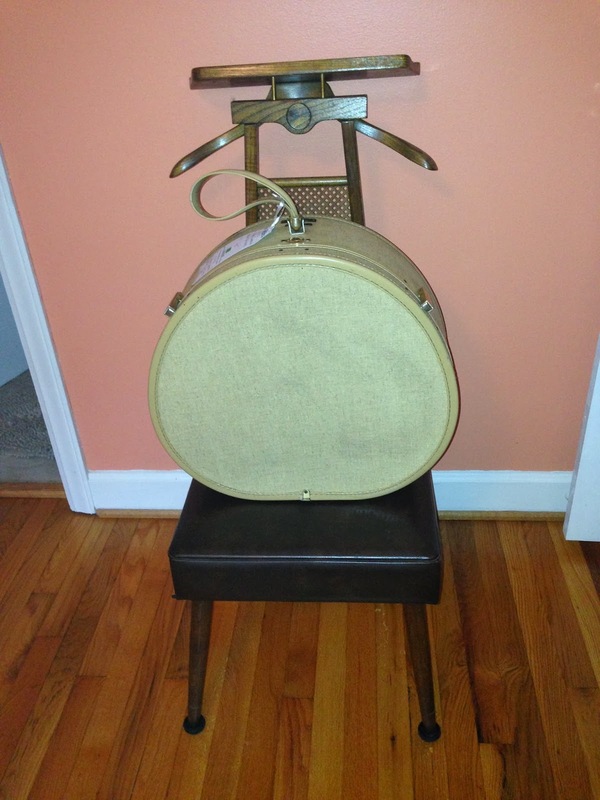 How do you give something that’s creative and unique while being both recycled and affordable? 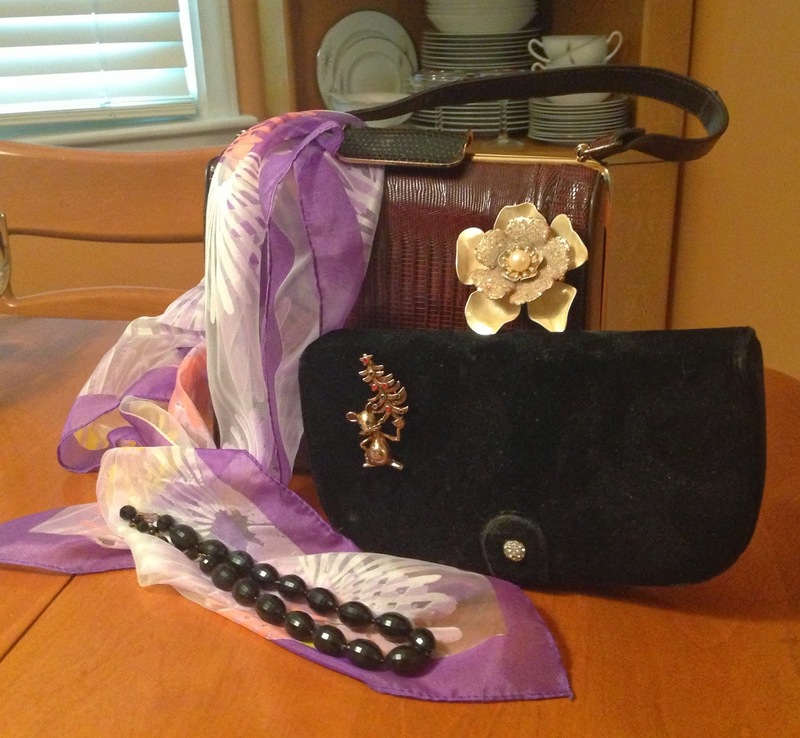 Giving vintage is your answer! And I am here to show you how to give vintage to everyone on your list this year. Giving vintage does require a little creativity on the part of the giver and so thinking ahead is key- but here are some of my very quick vintage gift ideas to help you check those items off your gift list. So many of these items can be found for so much less than you’d ever pay for a current item at full retail, so I love the idea of adding in little extras to make the gift more fun and thematic. You can always personalize the gift by adding your favorite tea or coffee to the mugs or canisters, cookie or soup mix to any baking items or insulated jars, a coffee shop gift card to any vintage book and of course a bottle of liquor, wine or festive champagne to round out your barware gift if you are inclined to spend a little more! So give MORE than just an average run-of-the-mill store bought ‘ole new gift this year…give a little piece of history by giving vintage! You’ll likely save money in the process, give a truly unique and memorable gift and have a great time shopping too–antique stores and vintage markets and are so much more fun for shopping outings and usually less crowded than the mall. So, have a fab fun shopping season giving vintage to everyone you know and share the ideas and pics if you are so inclined…I’d love to see! 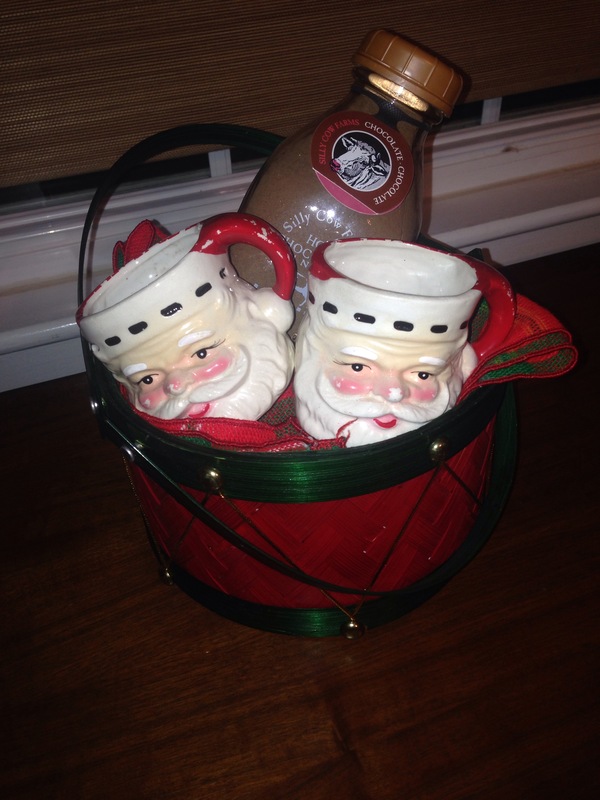 It’s that time of year again….time to start thinking about gift giving! Too early, you say? Halloween is hardly over, you say? Hey, unique gift giving requires some thought and planning, and Mod Bettie is here to help you figure out how to give a gift that is thoughtful, personal and has some authentic history wrapped in TO BOOT! Plus, if you’re giving vintage you may need a little extra time to plan trips to some of those secret outlying thrift stores to do your shopping! Admittedly for this first group of ideas you may have to do some sneaky sleuthing to find out a few things before you start your vintage hunt for your beloved giftee, but being sneaky is fun, right? Here are a few ideas to get you going. In the end, you’ll win most creative gift giver of the holiday season! ModBettie Vintage Gift Giving Tip 1: Use the dates to make it personal. 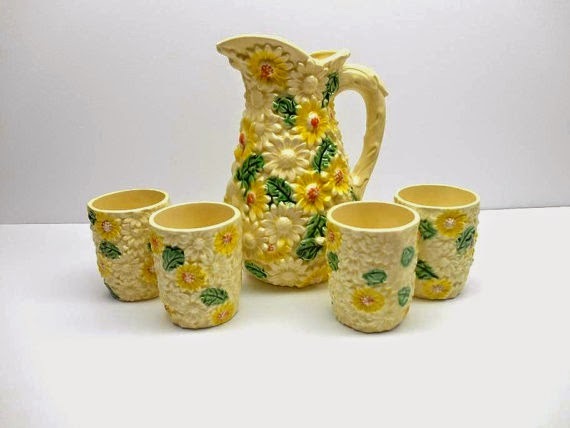 Many vintage items are dated, and if you can find out the birth year or anniversary year or any other important year to your giftee…the world of vintage gift giving will open up of you and you can personalize the gift using the date. 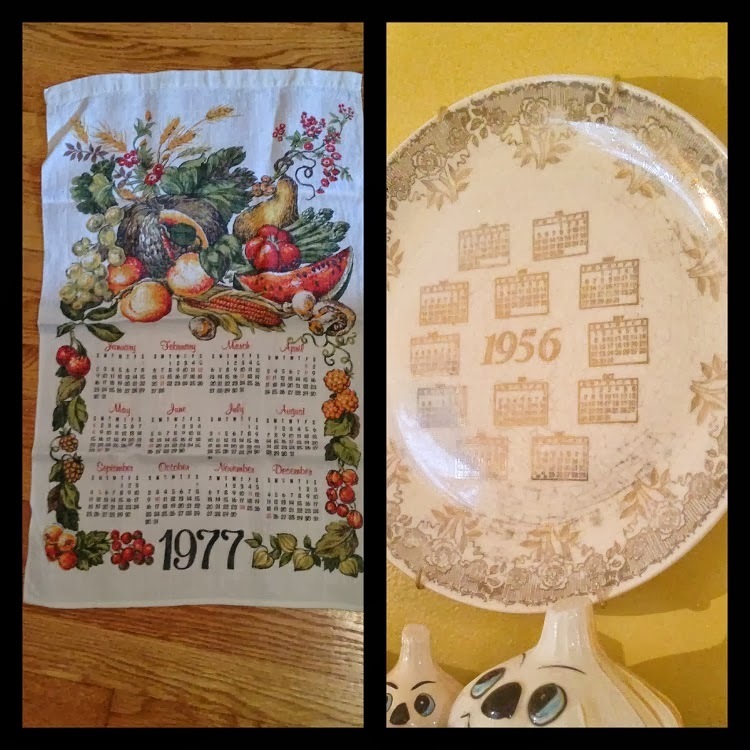 Easily found vintage items with dates that I love to own and to gift: tea towel calendars, calendar plates, figurines (look on the underside of the item for the date) and books! 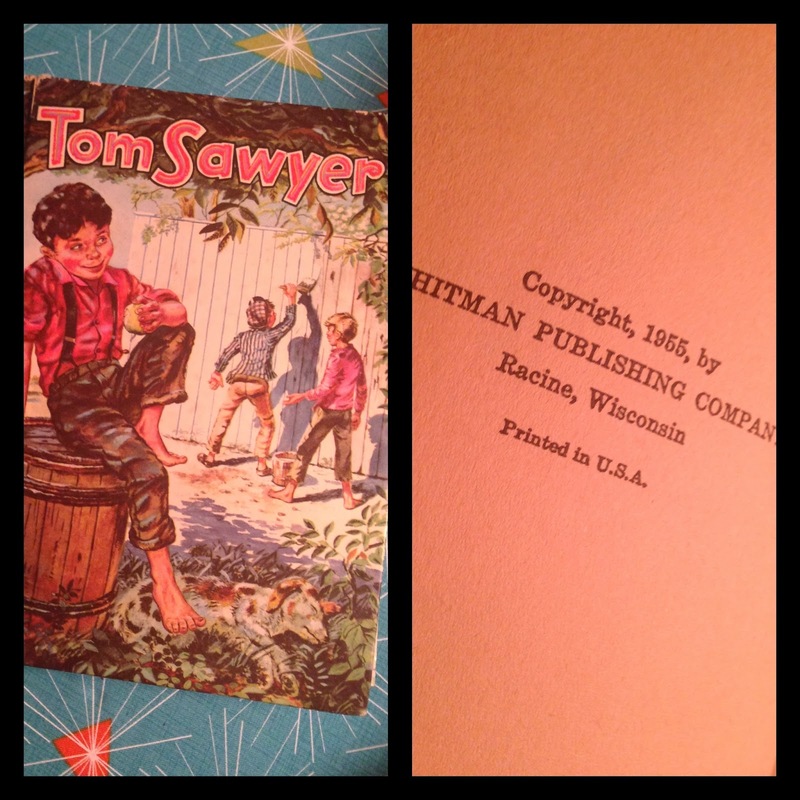 You’ll probably score a gift giver gold star for this one: a vintage version of a favorite book in a special year for the giftee. The copyright dates for books are usually on first few pages. 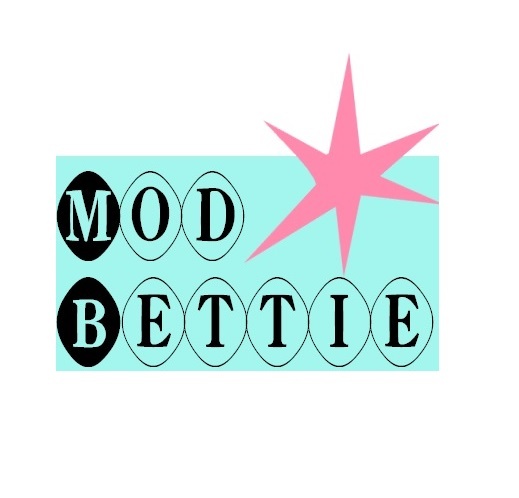 ModBettie Vintage Gift Giving Tip 2: Keep family history and memories alive via items. 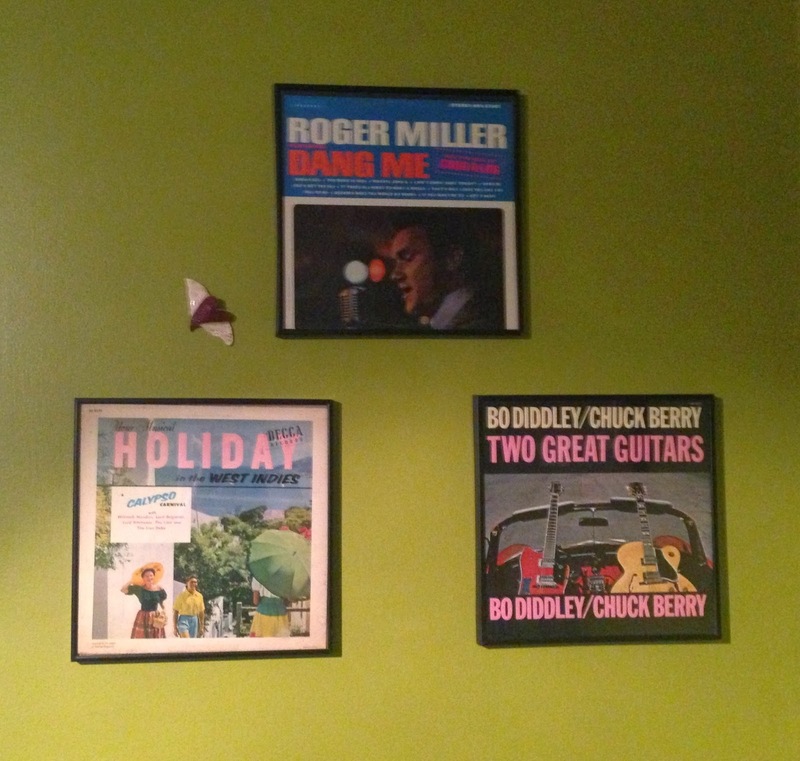 Have you ever been in a thrift or resale store, placed your eyes on an item and been immediately transported back in time to your favorite relative’s house with a fond memory? 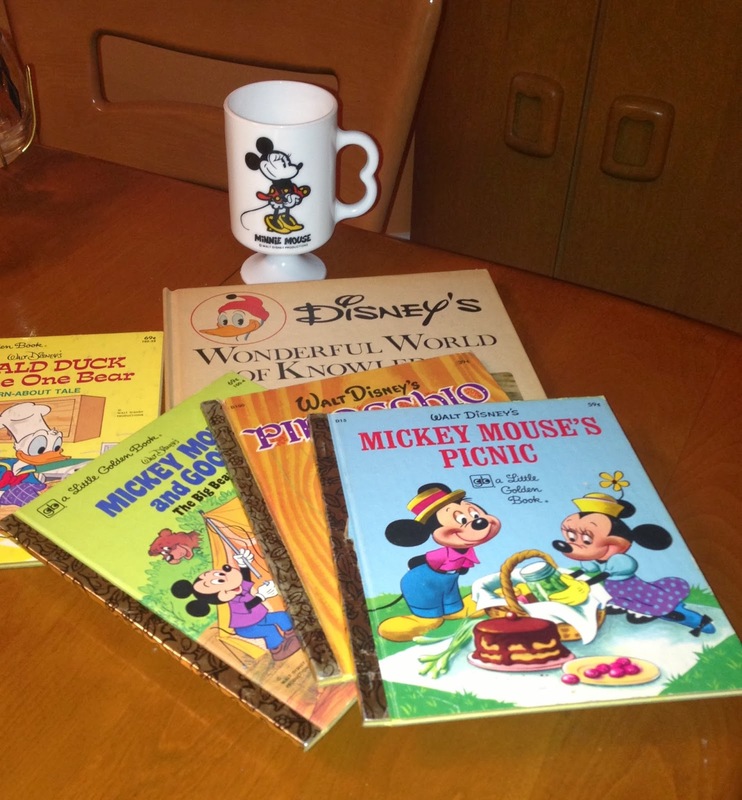 Whether it’s your mother’s china pattern, your grandma’s cookie jar or tea pitcher, that favorite book (Books again! Can you tell I love to give and receive books? ) 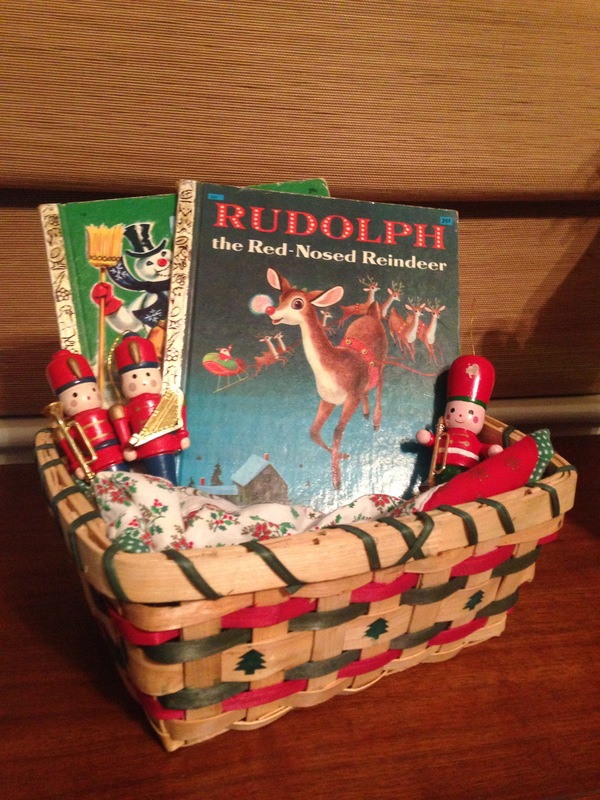 your aunt used to read to you…the item is just the carrier and the memory is the true gift! A walk through your local thrift shop may be all it takes to find out this kind of info from your giftee…people typically can’t contain themselves when they see something from their past. Make mental notes and go back and grab! ModBettie Vintage Gift Giving Tip 3: Locale is key! Places hold history and personal memories for people as well. 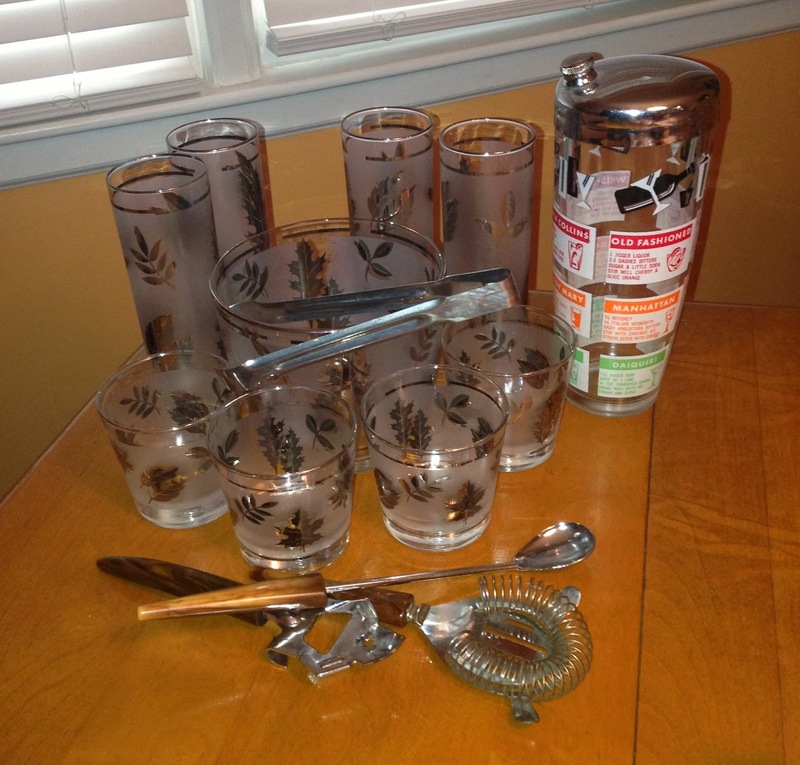 Many vintage items can be found with cities, states and countries on them that can hold significance for your giftee. 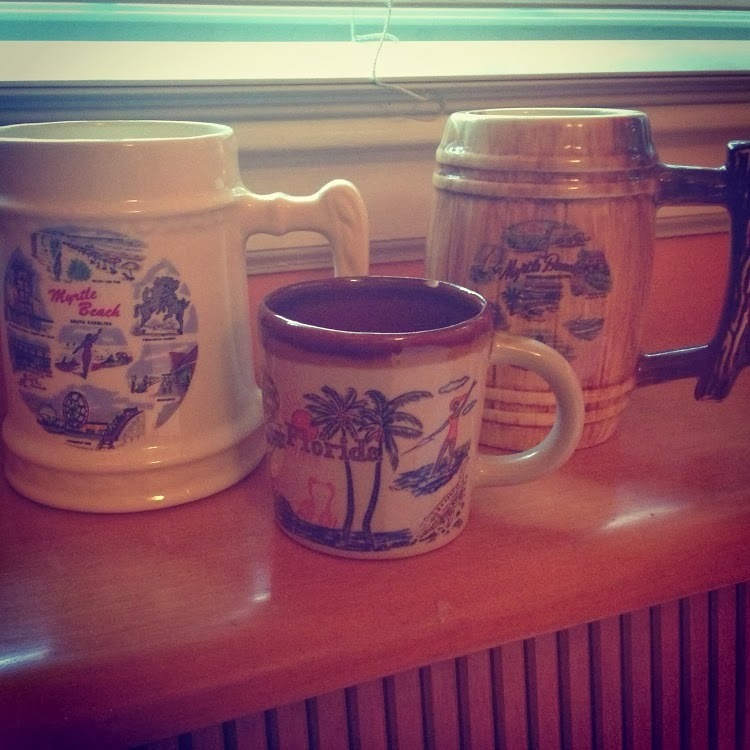 Birthplace, hometown, formative years, college town, favorite vacation spot, favorite sports team…these can be found on vintage mugs, plates, glassware, postcards etc. 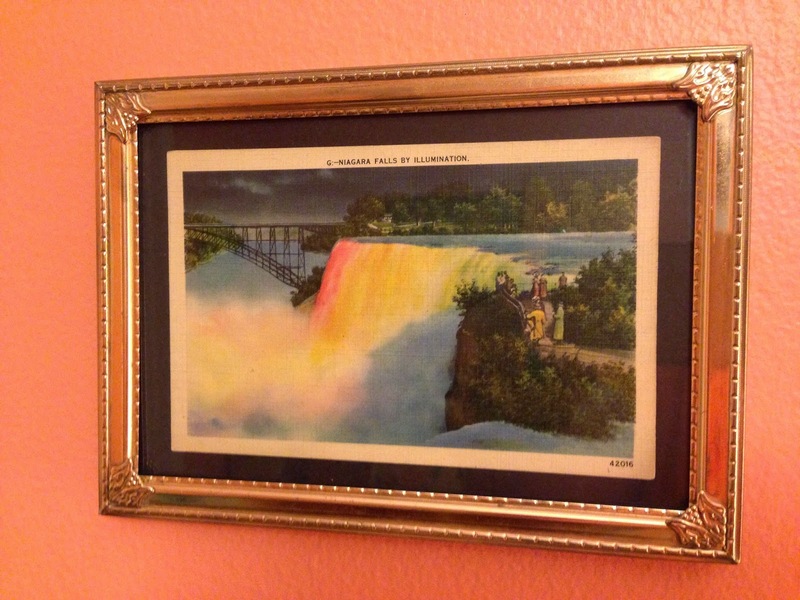 A vintage map of a significant city or picture of a special place to the recipient can also be a great gift. 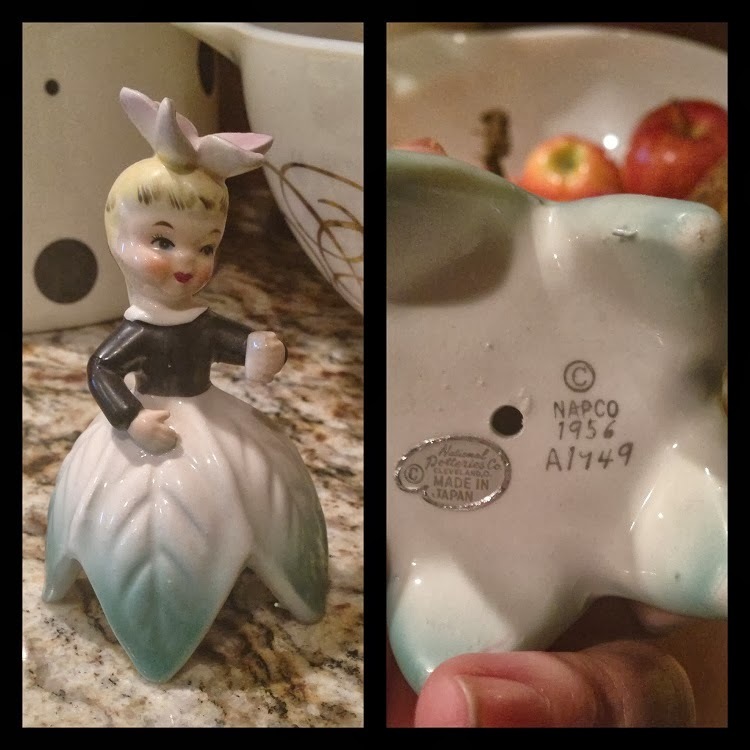 This may be more of a vintage hunt to track down these specific items- but if you feel up for the challenge-just keep your eyes peeled and start looking-you’ll be surprised at what you can find! 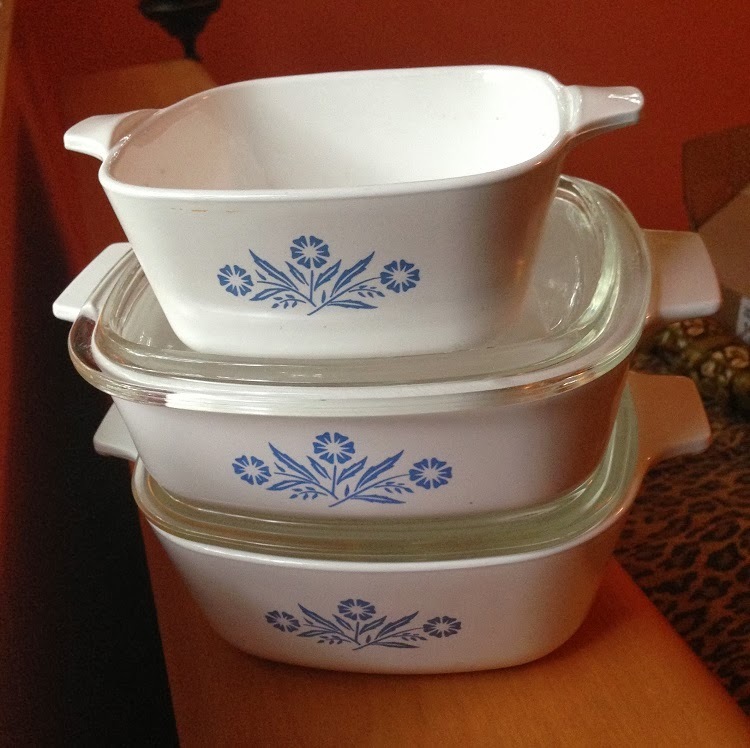 Being a vintage gift giver is a unique and fun way to show people that you are truly interested in the things that are meaningful to them. It’s green, because you are recycling items and you are usually supporting a very worthy non-profit when you shop at most of the larger chain-type thrift stores–so you can feel good about where your money is going! So get to your favorite thrift or resale shop and check some items off of your list! 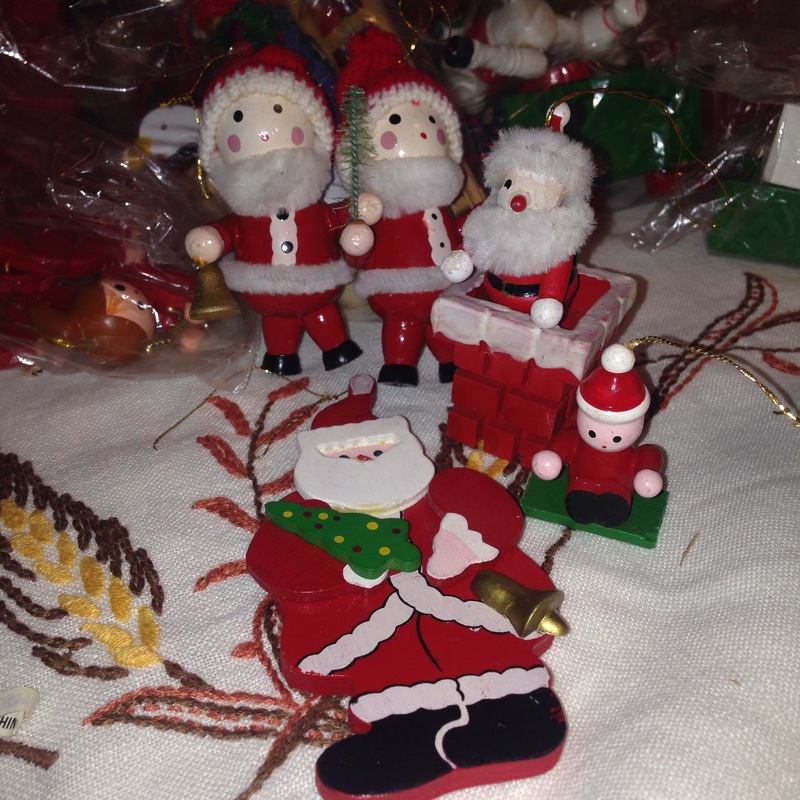 Keep me posted on your great vintage gift ideas and finds and in the next segment I’ll cover some less specific but still very creative vintage gifting–so stay tuned!